Discussion in 'iPhone and iPad Games' started by Ozden79, Jun 23, 2016. FastBall, enjoyed by millions, has now stepped into the world of online multiplayer with FastBall Online. 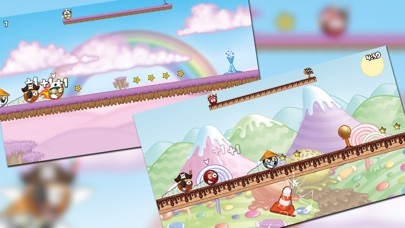 In this ultimate FastBall experience, you'll race against anyone globally or against your friends (up to 8 players and requires internet connection), practice against computer, experience all new wacky powerups, new game mechanics such as flap or gravity zone and customize your fastball with balltypes, characters, hats, glasses and other features! In FastBall, you control a rolling ball. In his way, there are many obstacles and his only ability is to jump. This is where he needs you, you'll make him jump by tapping the screen. With this simple mechanic, you'll race against other people all around the world to finish the racecourse. Each of these racecourses are set up in different themed worlds such as Phantasy, Doodle, Futuristic and Cartoon. 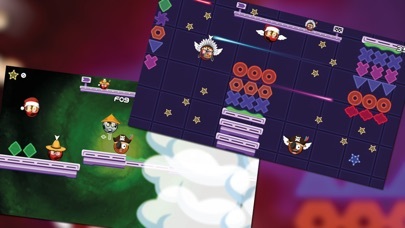 Through these racecourses, you'll not only face obstacles but much more : PowerUps will give you advantage against your opponents.Some of them will give your fastball powers where others will harden your opponents work. Standard powers include things like shield, which protects your fastball against obstacles, trap you put against other players and so on. 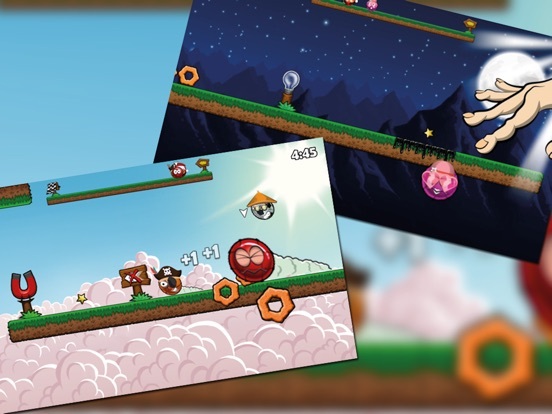 Than there are the wacky ones, like fatball which doubles the size of your fastball and makes all the obstacles ineffective against you and little hero, which is your friend working against your opponents. 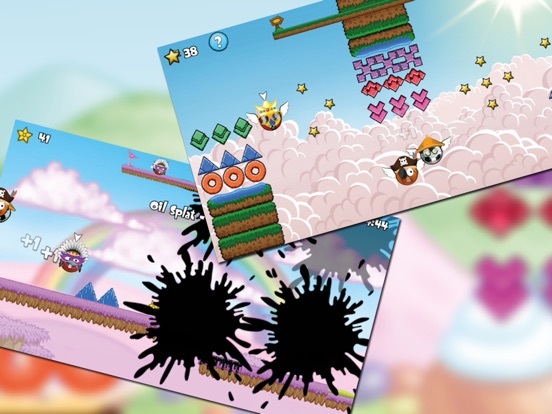 Not only these, lots more surprises about powerups awaits you in the game! Apart rolling, you'll encounter different zones such as FlapZone where our fastballs gain wings to fly through obstacles or GravityZone where our fastballs will change gravity direction rather than jumping. Be careful and act quick against these different mechanics! You'll also collect stars through the racecourses where you can spend them in the shop section to customize and upgrade your fastball. Customization includes ball types, characters, hats and glasses to create your own unique fastball. Features include extending power duration, count, etc. to upgrade your fastball as well. 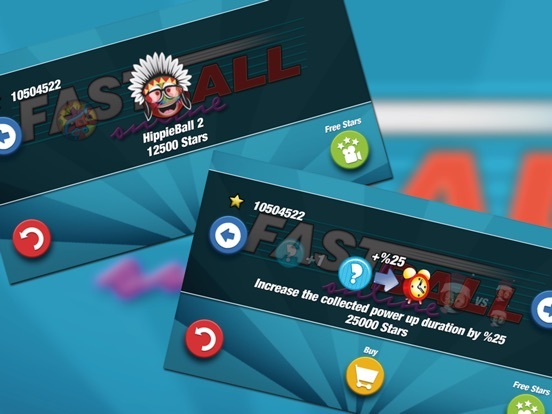 Feature list of FastBall Online is as follows : - A one tap easy mechanic addicted by millions of players. 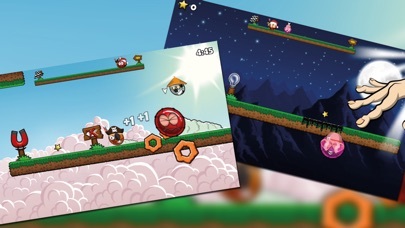 - Race against people all around the world or against your friends (up to 8 players and requires internet connection). 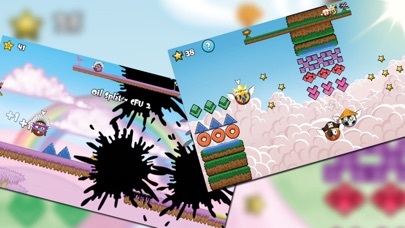 - Collect powerups to use for your advantage or against opponents. - Fully customize your fastball with balltypes, characters, hats, glasses and features. 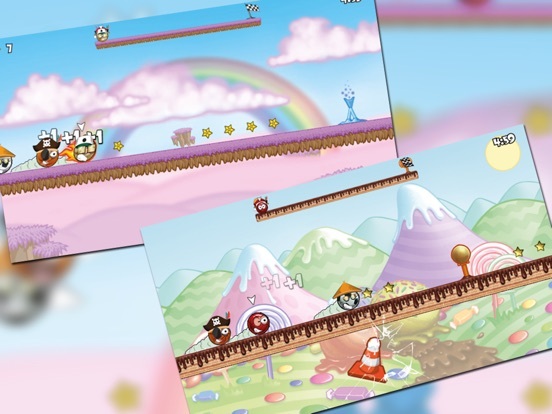 - State of the art Graphics and animations. - Marvellous soundtrack and SFX composed by industry leaders with specific tunes to each theme. - Ability to share your victories through Facebook. - Global leaderboards and achievements through GameCenter. - Introducing Ranks! Named as Bronze, Silver and Gold, by succeeding in races, you climb all the way to the top in the ranks. - New rank based race courses! Ranking up also allows you to play on special race tracks tailored for those rank levels which gets harder and delightful as you progress up. - New 8 player races! Now you can play up to 8 players in the same race course which brings up the challenge and fun! - New Facebook invite button on friends list page. - You can now see your race ranking during the race. - Introducing Emojis! FastBalls are now talking to you during the gameplay through emojis to express their feelings as happy,sad,etc. 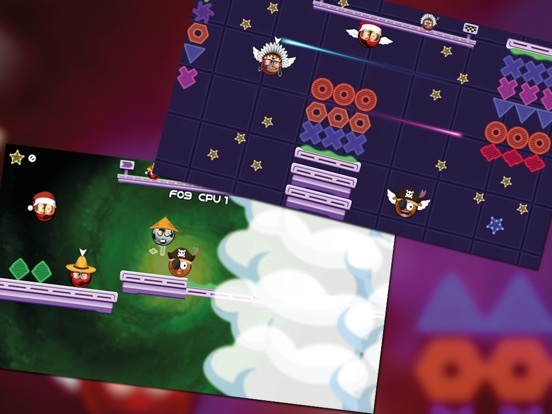 - Introducing the new Doodle world , a new place for tough races! - Added 10 new FastBalls, visit the shop to grab yours! - Added loading screen tips to show in game features you might have missed! - Enhanced in game sound effects! - Added new end game achievements!